It was a real dogfight to determine which manufacturer would win the J.D. Power Tablet Satisfaction Study for 2016, Volume 1. At the end of the day, it was Apple on top with a score of 830 and a full five Power Circles. Microsoft finished second, just one point behind Apple with a tally of 829. Like Apple, Microsoft received all five Power Circle points. Only two other manufacturers scored above the survey average of 816. Those two were Samsung (822, four Power Circle points) and Amazon (816, three Power Circle points). Four manufacturers came in under average: HP (809, three Power Circle points), LG (794, two Power Circle points), Acer (789, two Power Circle points) and Asus (785, two Power Circle points). J.D. Power ranks the satisfaction rate of tablet manufacturers by examining five different factors. Customer satisfaction with the performance of the tablet is 28% of the score. That is followed by customer satisfaction over the ease of a tablet's operation (22%). The remaining three factors are features (22%), styling and design (17%) and cost (11%). Apple ranked higher than average in all of these sectors except for cost. Microsoft scored high in the features and styling and design categories, while Samsung scored above average in styling and design. Interestingly, with a score of 827, hybrid slates scored 11 points higher on average for customer satisfaction than non-hybrid tablets. That is because these devices can have a physical QWERTY attached allowing them to function as both a notebook or tablet. Other interesting tidbits from the survey revealed that users of a tablet made by a high-scoring brand tend to stick with that brand for their next tablet purchase. 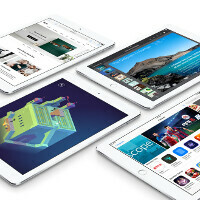 Of those whose previous tablet was an iPad, 80% replaced their older model with another iPad. Samsung, with a repurchase rate of 57%, was next. Overall average tablet satisfaction of 816 was two points higher than the last such study (2015 Tablet Satisfaction Study-Volume 2), which is now six months old. Surface tablet's are way better than the iPads! Ipads are a shame next to the Surface Pro's! Well there scoring for user satisfaction so the better tablet doesn't come to play here. We all know surface is on a different level tho. Surface is for extreme productivity and people who are deeply integrated into Microsoft. Extreme productivity? Deeply integrated? I think its for people who just want more flexibility. Maybe I want to use simple software like Audacity and transfer .wav files to my exFlash...? You make it seem like it only suits designers, engineers, and programmers. You are absolutely right. But, what many users on this website fail to realize or completely forget is that most people do not need anything more specialized than an iPad or iPhone. That is why Apple has been so successful. Most people don't need anything more than a flip phone and pen+paper. We're not talking needs here, we're talking wants, and most want more flexibility. Deeply integrated into Microsoft? In other words, 90% of the computer-owning world. Think like an adult, iPads run apps and Surface runs PROGRAMS. A computer program is a set of instructions that can be executed on a computer. An application is software that directly helps a user perform tasks. Not so "Techie" are you? Actually, he's correct here, an application is also a set of instructions (code) that can be executed on a computer (regardless of form-factor). It really has NOTHING to do with how bastardized or advanced the software is. There are bastardized/limited programs like Open Office, just like there are bastardized apps like Microsoft's Windows Store/Google Play/iOS AppStore versions Office. There are also advanced apps, like Tablet Pro on the Windows Store, just like there advanced programs, like the full Office 2016 suit; which actually works flawlessly for both Mouse/Keyboard ( https://db.tt/KRwvLvA1 ) and Touch ( https://db.tt/fckJaLQ6 ) when you switch to Tablet mode via Continuum. Yes, but apps are not programs. Remember the old adage - all poodles are dogs, but not all dogs are poodles. I feel sorry for Millennials getting the shaft on today's shi**y education systems. But the Surface isn't a tablet. What is it then? A toaster? It's not a laptop or a netbook since the keyboard is purchased separately and it ain't a desktop. The Surface Book is marketed as such due to its integral keyboard. Just felt like trolling some huh? At least you didn't make your errant posts 15,000-word doctoral dissertations like you usually do. The Surface is a Windows PC. Just like the Mac isn't a PC per Apple. Right? I have a Surface Pro 4. Its not a tablet. It is a full Windows PC in a similar form factor. Would you call the iPod Touch a smartphone? No, its a music player that simply shares the iPhones form factor. But you wouldnt call the iPod Touch a smartphone. Would you? The Surface is a hybrid PC. So because the keyboard isnt attached, that is the only definition of a tablet? If I take a keyboard away from a desktop computer, does it make it any less one? What you are missing is simple. Both devices are not in the same category, thus you can not generalize the users as equal. Users pf the iPad are not the same as the Surface users. ARM tablets are pretty much identical in looks and functions. The Surface shares a look and shares functions only at the base level. The keyboard had nothing to do with it. The keyboard is an accessory not a necessity. The Surface isn't a laptop or a tablet because its both at the exact same time. Microsoft's customers are PC users. The customer satisfaction rate isnt going to be equal. the keyboard doesnt add or take away any benefits of either the iPad or the Surface. But a keyboard is way more useful o a Surface vs the iPad. You're just quoting them iSheeps that kept remaining in denial, right? It's not a matter of what's better. The survey says it all. Who said anything about "better"? The ranking is based on satisfaction. The Surface is a good product but the quality control or Microsft support is terrible. I own a Surface Pro 2 currently. My Surface Pro 2, my friend's Surface Pro 1 and Surface 3 all has the electricity shock problem when charging. Meaning when charging the tablet, touching parts of the body of the Surface will give you a bit of electric shock. I can't believe Mcirosoft did nothing when the problem existed on the first SP1. Till now I am seeing reports of even the 4 having such a problem. Microsoft drivers issue. They does not seem to give a damn about updating the drivers. My sp2 encountered bsod at times when I was downloading files due to some issue with the wireless driver. Also after updating to Windows 10, the sp2 had some sleep issue. Also it is a rare issue but now my sp2 is crazy. When charging, the touchscreen came super inaccurate and then stops working till you unplug the charger. I love the idea of a tablet computer but Microsoft quality is really terrible compared to Apple. The next tablet I am just going to pick a tablet from other Windows OEM. We just want a Surface Pro in phone size. Make it happen. Want some cream for that butthurt? Samsung Galaxy S7 Edge and LG G5 – public reacts! (I-SHEEPS INDEED) https://m.youtube.com/view_comment?v=8uCyIjUt_b8&hl=en&gl=NG&client=mv-google&t=CoMCCuoBEucBCEQS4gEIyBEQZBgHItgBzcWMSJYOdRQdrHaNkiw3k0u0ijXcmxxeUo645l0uBR0alCUxFEmt9dYxFXLtya53d2Yo7vEMxyHJotM%2BNJKpsiMi2g4dIR7qR0YeVarOtiW2yFojKFPaByPokseQi%2FGRre4QlVoia1WJKXd2T1WJ76rp%2BagrrjlSEanQUFS4PxwypSpKvp3hqlo6HikGyeEqs5JBmry%2BjqgdbramR31SlMSOPnm95ZTJEcVWvcsMKSIXM1im2dmtV0Rk%2FqiePMpFxzQjRCYn5Ww7HHHxerBmRIrOzn%2BImpEnEIzJ77zNxswCGIjouN7nxcwCIAAoCBJjCAEQiOi43ufFzAIqVqiVh7iFhKnAuwH2rbuj0paT%2FXnavJXhisTXxRy53OHszrbF7bQBltusoueJ64ZbxIuk6IPY6dC0Acisqc%2Bh0sPe5AHv1LH%2B2L2oks0BlNLQ65zojpFCGAEgTSi2jsDow6yf224%3D ONE WORD ! PATHETIC! Samsung Galaxy S7 Edge and LG G5 – public reacts! (I-SHEEPS INDEED) https://m.youtube.com/view_comment?v=8uCyIjUt_b8&hl=en&gl=NG&client=mv-google&t=CoMCCuoBEucBCEQS4gEIyBEQZBgHItgBzcWMSJYOdRQdrHaNkiw3k0u0ijXcmxxeUo645l0uBR0alCUxFEmt9dYxFXLtya53d2Yo7vEMxyHJotM%2BNJKpsiMi2g4dIR7qR0YeVarOtiW2yFojKFPaByPokseQi%2FGRre4QlVoia1WJKXd2T1WJ76rp%2BagrrjlSEanQUFS4PxwypSpKvp3hqlo6HikGyeEqs5JBmry%2BjqgdbramR31SlMSOPnm95ZTJEcVWvcsMKSIXM1im2dmtV0Rk%2FqiePMpFxzQjRCYn5Ww7HHHxerBmRIrOzn%2BImpEnEIzJ77zNxswCGIjouN7nxcwCIAAoCBJjCAEQiOi43ufFzAIqVqiVh7iFhKnAuwH2rbuj0paT%2FXnavJXhisTXxRy53OHszrbF7bQBltusoueJ64ZbxIuk6IPY6dC0Acisqc%2Bh0sPe5AHv1LH%2B2L2oks0BlNLQ65zojpFCGAEgTSi2jsDow6yf224%3D ONE WORD ! PATHETIC ! You Apple haters really need lives. Seriously, this much vitriol towards any one company is.... "unnatural" to say the least. We get it, all your teenage friends don't want Android, fine. But spamming nonsense only makes you look like a troll with little to no self-awareness. No one here gives a s**t about your opinion, and they sure as hell ain't click that "suspicious" looking link you put here. Good day sir. I would myself have voted the highest for Apple in all four categories except cost. I really do think the new iPads need to be cheaper at each price tier. For example, Apple could have easily gone with a 32gb iPad pro (9.7) starting at $399, or $449 at max. That could have resulted in slightly less profits but with the advantage of more customer satisfaction, I bet on that! The iPad outscored the Surface? In what exactly? The Surface is not a tablet, it's a PC. Anyone who would ever compare a Surface, to an iPad, Galaxy Tab, Galaxy Note(tablet) or any ARM based tablet whatsoever, is as stupid as a box of rocks. ARM based tablets cannot even compete against AN device using x86 hardware. I don't care who won. The problem is the Surface isnt even in the same league. ARM tablets are all Little League Players, while the Surface is the Pro Leagues. J.D. Power, I will never take you serious! The iPad beating the Tab, or Note; I have no issue with. But the Surface being compared in the same group is crazy.